One of the best lots in the whole community. Plenty of space on all sides of the home and right across the street from the playground. This luxurious 4 bedroom villa has so much to offer and as soon as you walk in through the front door you will feel right at home. This property offers a feeling of luxury and space and boasts of 4 bedrooms with large spacious rooms throughout. 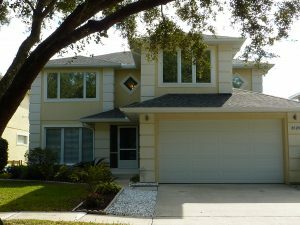 This villa is located in the Community of Silver Creek only 10 mins to Disney. As soon as you step outside the rear, you will be welcomed by the spacious heated pool and spa and large deck area, ideal for sunbathing the day away on this oversized lot. Owner bookings may convey as well if desired.